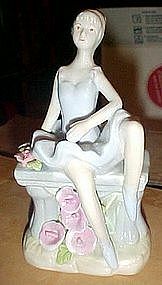 Pretty ballerina figurine has the appearance of one of those expensive Lladro figures. No sticker or mark, so is probably made in China or Portugal. Pretty just the same and is in wonderful condition with no damages at all. Measures 6 1/2" tall. 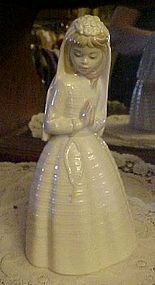 Pretty porcelain figurine made in Spain. Measures 8 1/2" tall and is in perfect condition. The young girl is clutching a pillow. 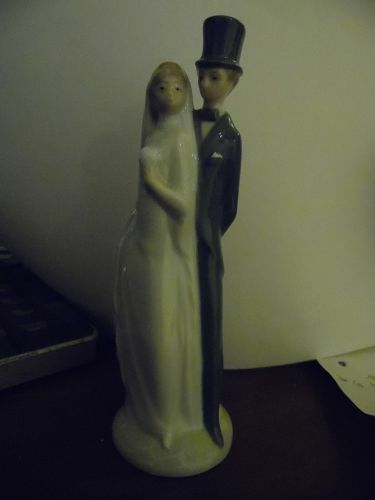 Made of glazed porcelain and has a Lladro loook about them. 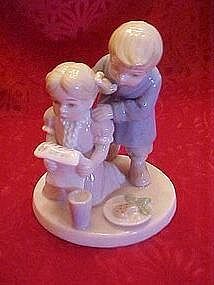 Pretty Lladro style figurine measures 4 1/2" tall. Two children read a thank you note from Santa thanking them for the milk and cookies they left for him. Perfect condition, with no damages. Nice heavy glazed porcelain. Nicely detailed, but no makers marks or stickers. 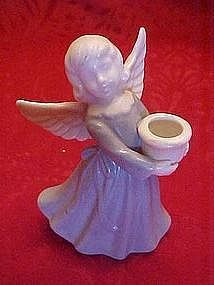 Pretty angel figurine is blue and white matte glazed porcelain. 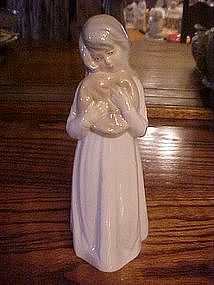 Resembles the Lladro figures, but is not. No marks or stickers. 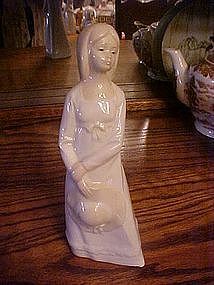 She measures 4" tall and holds a vessel, which you would use as a candle holder. Lovely little angel has no chips or damages.